Artura's state-of-the-art manufacturing facility gets approved with the prestigious PIC/s certification! The audit was conducted over a period of 4 days as per the latest EU guidelines. Artura completed without any major observations. With this certification, Artura has opened its avenues to multiples PIC/s affiliated markets around the world. 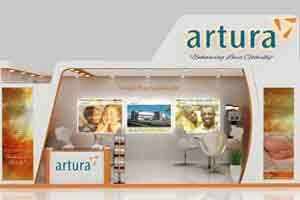 The launch of 5 new products (3 brands) marked Artura's entry into the Cameroon market. The therapeutic brands belong to Pain and Osteoarthritis segments. Artura further plans to launch an additional 10 brands in the next one year to further strengthen its position in the Cameroonian market. Artura invites all friends and business associates to visit our Stall D210 & 211 (Hall 2) at IPHEX 2017, Hyderabad between April 27th and 29th, 2017. We look forward to fruitful conversations and sharing a great camaraderie! 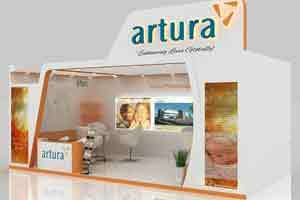 Artura continues its new markets entry with 4 Therapeutic brand launches each in Ivory Coast and Senegal. Artura consolidâtes it's position in the Francophone markets and looks for further opportunities in newer emerging markets. Artura welcomes all to visit our Stall F-63 at IPHEX 2016. We look forward to showcasing our products and to meet and greet each other - Bombay Convention & Exhibition Centre, April 27th to 29th, 2016. Artura Pharmaceuticals has commenced its business in the Dominican Republic market with the launch of 18 new products covering various segments such as Gastroenterology, Cardiovascular, Anti-Diabetic, Antibiotics, NSAIDs. 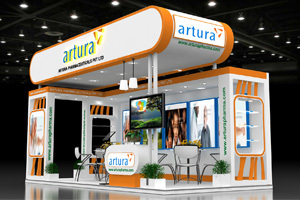 Artura looks to establish its strength in the Latin American region with a strong presence in the Dominican market. The Honourable Chief Minister of Andhra Pradesh Shri. Chandra Babu Naidu inaugurates Artura's new facility at Sri City SEZ. 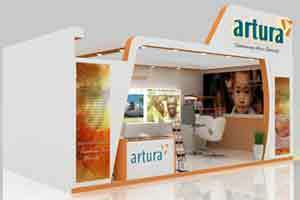 Artura Pharmaceuticals launches 3 products in Cardiology segment and 2 products in Gastroenterology segment to kick start its business operations at Burkina Faso. The molecules have been launched keeping in mind the requirement for new molecules in the Western African markets. A further 10 products from Pain Management, Antihistamine, Antimalarial, Osteoarthritis and CNS segments will be rolled out in the next few months. 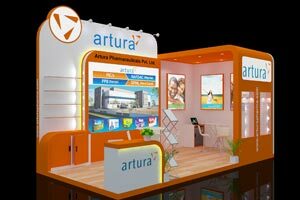 These launches will help position Artura among the top speciality pharmaceutical companies in the Burkina market. Artura welcomes all delegates at IPHEX 2015 to visit our Stall C-35. We would love to meet each and every one of you and explore the possibilities of building a strong business partnership for the future! Artura has launched 18 new products in the African market of Guinea. This further adds to Artura's presence in Africa and strengthens the reach of our products. Artura commenced its Myanmar business with the launch of 25 new products. With dynamic marketing teams dedicated to spreading awareness of Artura's products with the physician and hospital communities in Myanmar, Artura is poised to make a significant presence here. Separate products were also launched in the OTC segment. © Artura Pharmaceuticals Pvt. Ltd. All Rights Reserved.